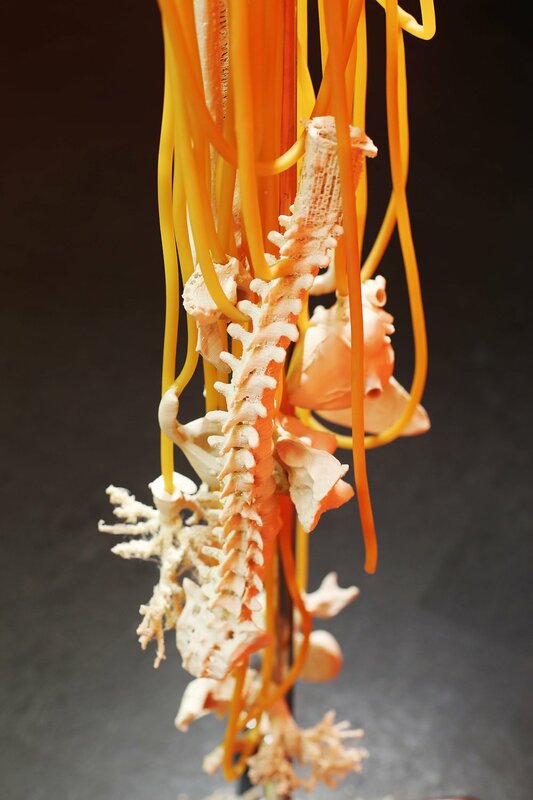 Using 3D printing technology and BioFila filament, this relationally-defined assemblage was created by the work of many combined bodies and driven by vectors. Vectors create room for futures that are not the same as the present making actual the virtual, the potential stored in the existing state of affairs.The vector is an aesthetic element that leads us in a specific space, time or emotional direction. Using the aesthetic of vectors this work is oriented towards unpredictable futures.